The decision to burn a soy candle is a good one. Soy is clean burning (no soot, thank you very much), long burning (thanks to the lower melt point of soy wax), and easy to clean up with soap and water in case of accidents (they do happen). 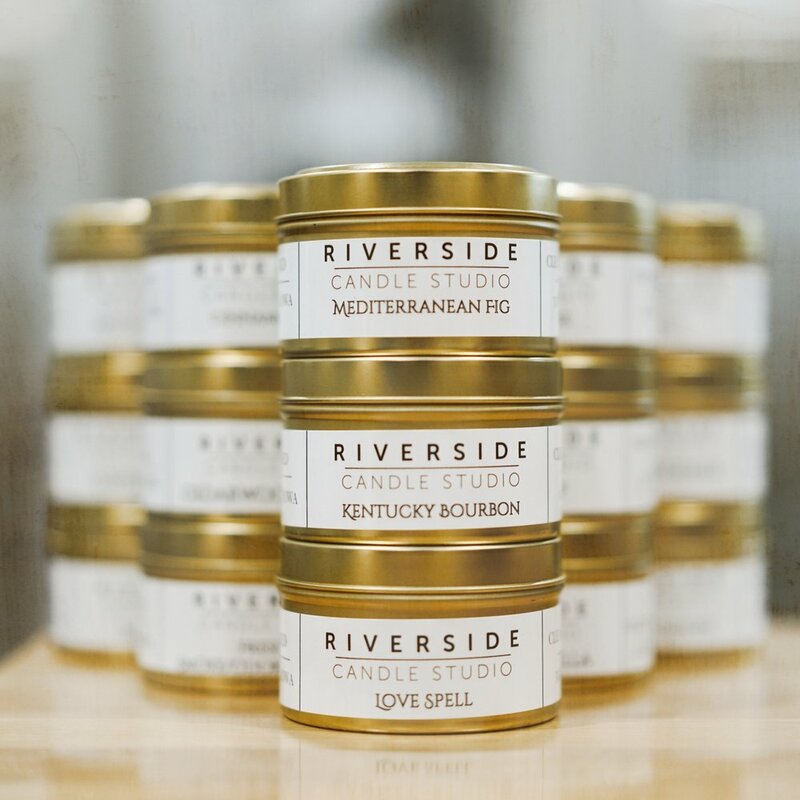 Based in Iowa, Riverside Candle Studio is proud to use soy wax, which is a renewable resource produced by our farmers. From field to candle, soybeans are harvested, cleaned, cracked, de-hulled, and rolled into flakes. The oil is extracted from the soybean flakes, refined, bleached and hydrogenated, which lowers the oil’s melting point. The wax is then shipped in flake form, ready to be transformed into a beautiful soy candle.